Business social network LinkedIn has seen a sharp rise in visits over the past 12 months, with traffic increasing by 323% since August of last year. Hitwise’s LeeAnn Prescott reports that LinkedIn’s market share of US visits was up by 17% in the past four weeks. LeeAnn also points out that Gmail is responsible for much of LinkedIn’s upstream traffic. While Yahoo! Mail has more than ten times Gmail’s US market share, LinkedIn receives only three times more traffic from Yahoo! Mail. LeeAnn suggests that this is due to the early adopter appeal of both services. While the traffic figures are impressive, LinkedIn is facing increased pressure from Facebook, as more professionals are beginning to use it for business networking. It plans to follow in Facebook’s footsteps by opening up to third party developers in the next few months. Visits to the BBC’s iPlayer have increased 15-fold over the past month, thanks mainly to a major advertising campaign for the catch-up TV service. The figures from Hitwise’s Robin Goad show that the iPlayer, having launched a streaming version of the service and opened up to the public, has begun to take off. 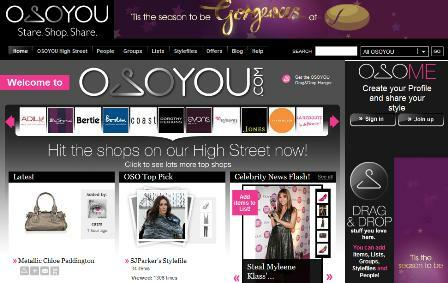 By combining shopping with social networking, new UK site osoyou.com is looking to capitalise on growth in the online clothing market and deliver predominantly female shoppers to retailers and advertisers. I had a little dose of worst practice this morning, something worth adding to any email marketer’s Things Not To Do Under Any Circumstances Because You Will Have Angry, Disbelieving Customers list.